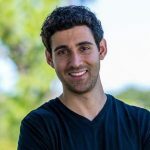 Matthew Magnante is freelance writer who specializes in all things fitness. He has had a passion for fitness since elementary school and continues to research and learn how to build muscle effectively through training and diet. He also loves to help others to achieve their fitness goals and spread the knowledge where needed. Matthew's other passions include learning about mindfulness, strolling through nature and having meaningful conversations about life. Calum Von Moger Is Back In The Gym With A Vengeance! Boost Original Complete Nutritional Drink Full Review: Is it completely Nutritious?